I think that your comparison between books and films is on the money. I also think that what you wrote can also apply to adults to some extent. I like the quotation that you posted. It is certainly suitable for children, but it is written in a mature and thoughtful way. Thank you, Brian. It does also often apply to adults! 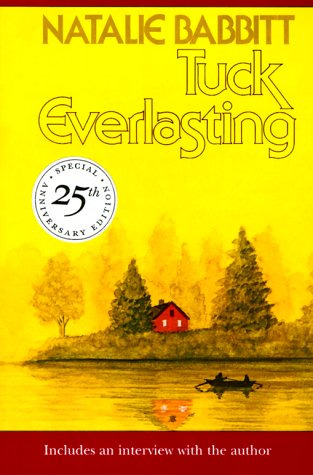 I read Tuck Everlasting a long time ago. Before the movie came out. I saw the movie and enjoyed it, but I remember liking the book more (probably because I read it first and was comparing). I would be curious to reread it and to watch the movie again- but in the reverse order, now that so much time has passed. I really enjoyed your review and reading about your discussion in class. Jess, I am curious to know how the movie would seem having read the book first. Alexis Bledel must have been much older than the book Winnie, but she'll always be Winnie Foster for me. I hope you enjoy the movie the second time around.